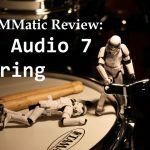 Do you need to record high-quality podcasts, interviews, video series voiceovers, live performances or YouTube videos with a good sound? You may have noticed that the built-in microphone in your iOS device (iPhone, iPad) does not always cope with this task. How to fix this problem and turn your iOS device into a real recorder? It is quite simple! 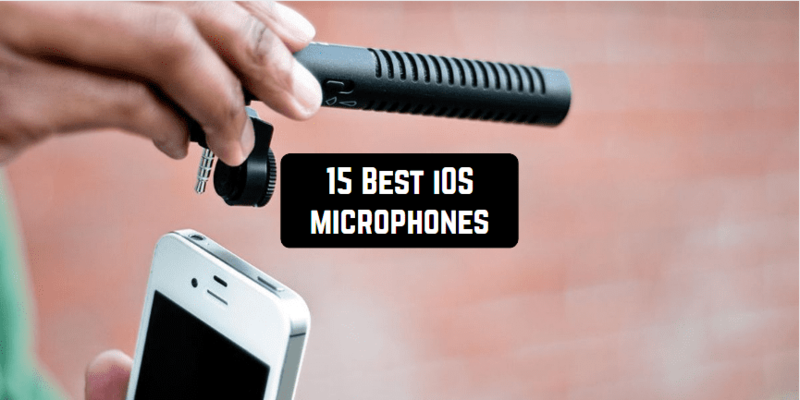 Today there are many microphones specially designed for iPhones and iPads, which are compatible with almost all the popular audio applications available on App Store. 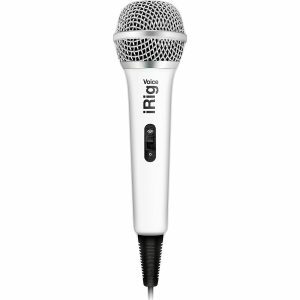 The model IK Multimedia iRig MIC Cast is a compact and lightweight microphone designed for high-quality voice recording. It is suitable for interviews, press conferences, various lectures, and live performances as well as for other events. 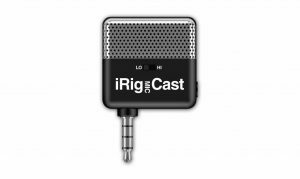 iRig MIC Cast is an ideal solution for voice recording that excludes any unnecessary noise. This is perfect for offices, where video conferences and meetings of various sizes are conducted. The microphone is designed specially for Apple’s products – it works well with iPhone, iPod Touch, iPad. The mic has a very tricky plug, which is mounted to the headphone jack, so a person who is near you can hear exactly what you say into the microphone and then evaluate whether the information is true or false. IK Multimedia iRig MIC Cast can be an essential thing for recording your own songs, folk songs, podcasts or keeping track of your philosophical thoughts that usually appear in the silence of the night. All of these things are possible! The mic is characterized by excellent performance, good sensitivity, comfortable handle and protected from external noises. Plus, it has many other important advantages. For example, you can download and use a free program for users who intend to record the vocals. In order to obtain a high-quality clean sound, you don’t necessarily have to have a microphone large in size. You can make sure it is true when you see the iRig MIC Cast in the process! compatible with iPhone / iPad / iPod Touch. 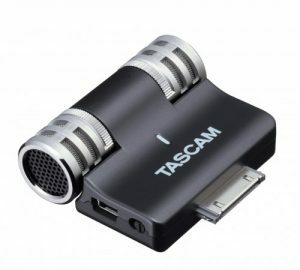 Tascam IM2 is a new portable stereo recording device with a dock connector. This model for iPhone/iPad is different in that it has two rotatable condenser microphones (the same feature is used in the popular DR recorders series from the same manufacturer), good noise reduction and the sound power of 125dB. The support for audio recording of concerts sound makes the mic indispensable for those who like recording such performances. IM2 is also equipped with the reducer of sudden loud sounds. This feature will avoid ruining the entire audio track by sharp sounds of a guitar solo. Users who have already tried to record anything other than a low-volume voice on the iPhone know the limits of the built-in microphone. The recording sounds awful, extraneous noises makes listening insufferable. The Tascam microphone will rid you of this problem and serve as a great addition to the excellent iPhone camera which will allow you to record a great amateur video. Moreover, the new microphone works with all the recording applications for iOS. 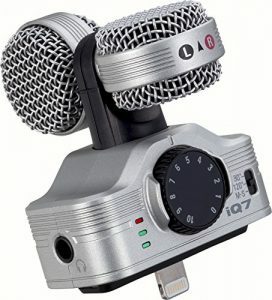 This stereo microphone has the following inputs: iPhone, Dock, USB-Mini-B, 16 / 44.1. In addition, the interface has volume controls and a built-in limiter. Tascam PCM Recorder app can be downloaded for free from the App Store. 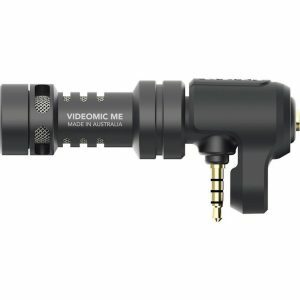 The directional microphone VideoMic Me is developed by Rode. This affordable small device provides high-quality sound and can be used both with iPhone and iPad. With an adjustable mount, the microphone is suitable for a wide range of iOS gadgets which have the ability to connect to through TRRS connector. In addition, there is a headphone output to be aware of what is recorded. Aluminum case of this model is equipped with a ceramic anti-reflective coating. The delivery set includes fuzzy windscreen designed for avoiding sharp sounds while shooting outdoors in adverse weather conditions. The company RODE Microphones introduces a new version of the stereo microphone RODE iXY Lightning. The novelty is specially designed for working with iPhone and iPad. RODE iXYL has a Lightning interface, making it compatible with iPhone 5, 5s and 5c. The microphone records the sound of the standard 24-bit / 96 kHz. It is preferable to use the iOS-app RODE Rec to edit the recording results. RODE iXYL is equipped with 2 1/2 “capsules combined in X-Y configuration. In addition, there is an ADC. The microphone can be used for recording music, lectures, interviews, videos and others. iXYL can capture sound in all kinds of places – from a small cozy cafe to a large noisy stadium. The model is perfect for reporters because it guarantees quality and lightning-fast operation. The microphone is securely attached to the camera so that the sound could be recorded at an excellent level. All you need to do to start the recording is to tap on one single button. Microphone RODE iXYL works with virtually any audio application. 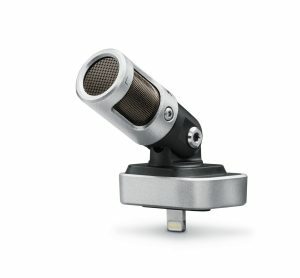 Model Shure MV88 is designed specially for iOS-devices and equipped with a Lightning connector. The product’s body is all-metal with a stand with which you can change the position of the microphone. Shure MV88 provides a high quality of video materials – clips or live performances. In addition, Mid-Side Technology and perfectly matched capsules allow recording a detailed clear stereo. Monitoring real-time recording can be carried out right through the headphones of your iOS-device. All settings of MV88 are available on a special application ShurePlus ™ Motiv ™ Mobile, which can be installed for free on iPod, iPhone or iPad. switch between of 5 DSP modes (Flat, Speech, Singing, Acoustic and Loud). With Zoom iQ7, you’ll always be ready to record both video and sound. Just connect your device to this new product and you will get a chance to create an awesome high-quality sound recording. Compared to the previous model, iq7 has a larger front panel, which has inputs and a LED indicator for clear sound, without interference. The model has a built-in headphone jack so that the user could control the audio track while recording music or voice. Pivoting mechanism allows rotating the microphone to the right or to the left when recording. This innovative technology can adjust the characteristics of the stereo automatically, without your involvement in the process. 120 ° is designed to grip a wide sound range. «MS» feature makes it possible to record the signal in its raw form, which can then be edited in the free iOS app called Zoom Handy Recorder. Zoom iQ7 developers provide compatibility with any device functioning on iOS 6 or later. The microphone is supplied with a special lining that provides a stable connection to Apple devices. the iQ7 microphone is compatible with almost all the programs for sound processing from external sources – Garageband, Voice Memo, to name just a few. These applications support multiple speeds, which allows you to choose between 48 and 44.1 kHz for best audio quality. 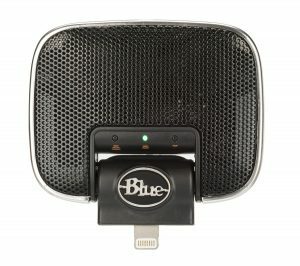 Blue Microphones Mikey Digital (Lightning Version) is a stereo condenser microphone for iPhone / iPad / iPod touch, which has auto settings, an input connector for external sources, a swivel mechanism, and a Lightning connector. Mikey Digital Microphone is ideal for smartphone recording. It is equipped with two Blue condenser capsules. Blue Microphones Mikey Digital will help to turn your iOS device (iPhone / iPad / iPod touch) into a real recorder suitable for recording podcasts, live performances, interviews, video soundtrack and voiceovers, instruments such as guitar, and vocals. The body of Mikey Digital has a stylish design. The swivel mechanism allows you to change the microphone angle in a range of 230-degrees, which is very convenient for a variety of recording tasks. Mikey Digital has three different auto gain settings that allow you to apply the mic everywhere – from a loud concert hall to a quiet conference room. The case is also equipped with a connector 1/8 mini jack for connecting an external source such as a guitar or bass or a stereo line output with the mixer. There is also a USB connector to charge your iOS device. compatibility: iOS 6.0, iOS 7.0 or newer, iPhone 5 | 5s | 5c, iPod touch (5th generation), iPad (4th generation), iPad mini. RODE SmartLav + is a lavalier microphone that can be used with smartphones and tablets running on iOS and Android. The mic which has a circular direction, a Kevlar cable, and a TRRS connector. This is a very high-quality microphone that works well with an iOS application named Rode Rec App. a wide range of presets. This portable high-quality stereo microphone is equipped with an input for a guitar. The device allows you to create and share exclusive and unique videos using your iPhone. The default iPhone microphone is good enough for ordinary calls, but not so good at recording musical performances. The reason for this is the fact that the iPhone microphone is not designed to record live vocals sound or guitar sound. This is why Apple recommends all its users to buy iPhone iTrack Pocket and encourages its use. 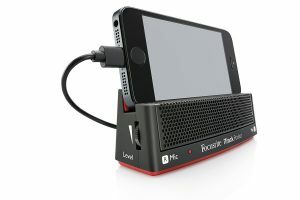 How does Focusrite iTrack Pocket work? iTrack Pocket allows you to choose the perfect angle to record sound that accompanies video recording. It is worth noting that the iTrack Pocket outshines the conventional microphone because of the guitar input required to produce a clean sound. Plus, there is also a built-in amplifier. iTrack Pocket is the best solution for YouTubers. edit video – it only takes a few seconds. In the end, the program will produce an incredibly high-quality video. compatible with most devices from the company Apple: iPhone 5, iPhone 5C, iPhone 5S. iTrack Pocket is a great device for recording, technically equipped with the latest technology. It can replace an entire studio! dimensions: 43 x 124 x 40 mm. This is a lavalier microphone which is compatible with smartphones and tablets running on iOS and Android. It has a circular direction, a TRRS connector, and a headphone output. 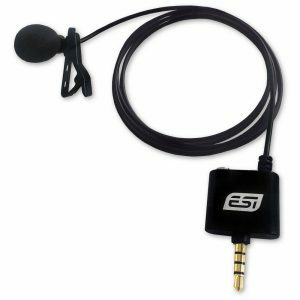 This miniature lavalier microphone can be directly connected to your smartphone or tablet – both on Android and iOS. The microphone is designed for voice recording – podcasts, interviews, presentations, lectures, etc. This novelty provides sound quality that is better than the one of your device’s built-in microphone. Using this microphone, you can record sound for video as well. cosMik Lav is very easy in use – it operates with all applications for recording with an external microphone and ensures optimal recording quality which is close to a professional level. The microphone cable has a headphone jack that allows you to listen to the material that is being recorded without disconnecting the mic. The package includes: microphone cosMik Lav, a foam windscreen, a clip for attaching the mic to clothes, a storage pouch. weight: 20g, including the cable. signal / noise ratio: 65dB. 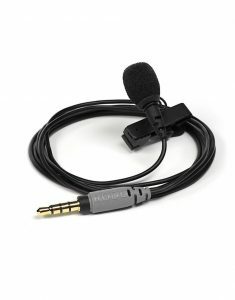 Audio-Technica ATR3350IS is a lavalier miniature microphone with an adapter for smartphones. It has a headphone output and a switch unit for a battery. Audio-Technica ATR3350 is an omnidirectional condenser microphone, which is ideal for sports instructors and video makers. It is perfect to use wherever the minimum visibility is desired. The mic is easily attached to clothing; a tiny size of it provides its invisibility. The microphone is equipped with a 6-foot cable that ends with a 3.5 mm plug – it is suitable for direct connection to most cameras. Also, it comes with an adapter for connection to a smartphone or a tablet and a headphone output. omnidirectional diagrams offer full coverage. adapter for a smartphone with a 3.5 mm connector TRRS jack. 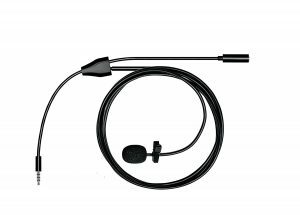 MXL MM-160 is a lavalier microphone that can be used with smartphones and tablets functioning on iOS and Android. It is characterized by having a circular direction, a TRRS connector, and an input for headphones. 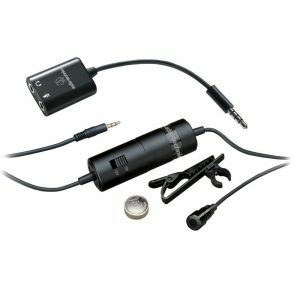 MXL MM-160 is a miniature lavalier microphone which is designed for voice recording. It can be used to record interviews, lectures, seminars, and other stuff like that. The cable length of 1.83 meters makes it possible to record speech that matches video. The headphone output allows monitoring the signal while recording. The set includes: a windscreen, a clip for clothes, a case. Note! The device won’t work with a conventional TRS connector (3,5 mm jack). To make the connection possible, you’ll need to use an adapter. headphone jack: 3,5mm jack . This is an omnidirectional lavalier microphone for iPhone, iPad, iPod. 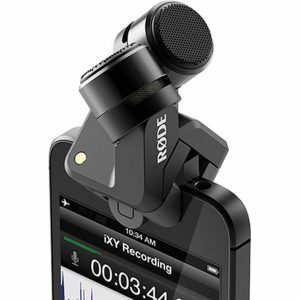 Thanks to the microphone ClipMic digital, your smartphone can be turned into a professional recorder. This microphone offers features that have previously been available only for professionals. The mic is adaptable in that it can work with practically all of the audio recording applications. the possibility to upload the recorded files to Dropbox right from the MetaRecorder application. IK Multimedia iRig Voice is a portable microphone with a bright body created for voice and vocals recording. You don’t need much effort to connect this microphone to your device, be it a mobile phone or a tablet. You can enjoy singing your favorite songs using your favorite music applications. The technology used in the iRig Voice allows you to work with voice frequencies. It will be your faithful companion not only in recording but also in live performances. The microphone is easy to use. It is designed for long-term use. 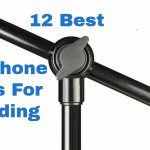 The optimized shape ensures secure mounting to most standard mic stands used in stage performances. The cardioid polar pattern used in the iRig Voice makes it possible to remove close distance sounds. It minimizes the effect of feedback, which often occurs while working with sound. The on/off switch on the microphone case allows you to quickly enable and disable the device. The body is made of high-quality plastic, which is not only lightweight but also durable. You can quickly and securely connect this device – the cable is provided. IK Multimedia iRig Voice is the perfect tool to express yourself in creative work. It creates high-quality sound and has a stylish design able to attract attention. The model i-XLR is developed by Rode specialists. The microphone’s interface is designed for working with iOS devices. With i-XLR, it is convenient to record interviews and reports on iPod, iPhone, iPad. There is the built-in Lightning jack. The interface supports the use of different microphones, including lavalier and “gun” models. Thanks to the shielded cable of 2 meters, you can place your smartphone in a bag or pocket during the recording. The body is equipped with a headphone jack. 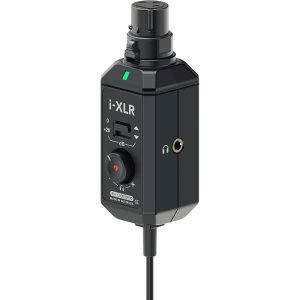 Among other features, i-XLR has a LED indicator and a switch which is capable to provide 20 dB of gain. It is recommended to use the device with an iOS app called Rode Reporter App.